A targeted way to build key skills for the new Edexcel GCSE (9-1) English Language specification (assessment from 2017). Target workbooks' unique approach builds, develops and extends key exam skills. Step-by-step exercises get you ready for exams, with each book providing 70+ pages of structured practice. Full of ready-to-use examples and activities. Designed for those working towards the higher GCSE (9-1) grades, this workbook builds, challenges and develops your writing skills even further. See your progress easily, with step-by-step exercises and exam-style questions that focus on building key skills. Each workbook addresses a range of common misconceptions and problem areas, so you can build up your skills for the more challenging parts of language learning. Use the workbooks in class or at home - the exercises are easy to use independently. 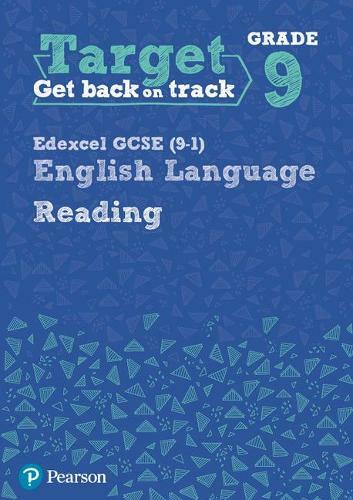 Target workbooks make the perfect partner to the GCSE (9-1) Revise! Series.